Izzy Strange unleashes his sixth and final release from his forthcoming album “A Good Day 2 B The Bad Guy” and teams alongside prominent Chicago artist, Mick Jenkins. With the seasons starting to turn over to a warmer setting, the Beasley’s Corner Bodega founder takes aim to create a song perfectly fit for the temperature change. Izzy contracts fellow Scottdale native and co-collaborator Nate Fox (of Chance the Rapper’s Social Experiment) for this Jazz-infused hit sure to get your head nodding. 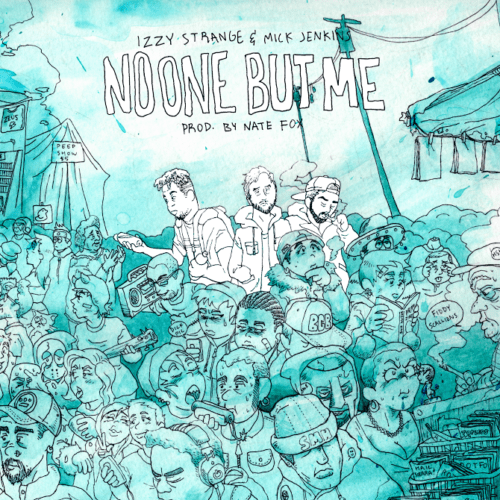 Listen and purchase “No One But Me” below and make sure to mark your calendars for May 2nd, when Izzy debuts the new album.